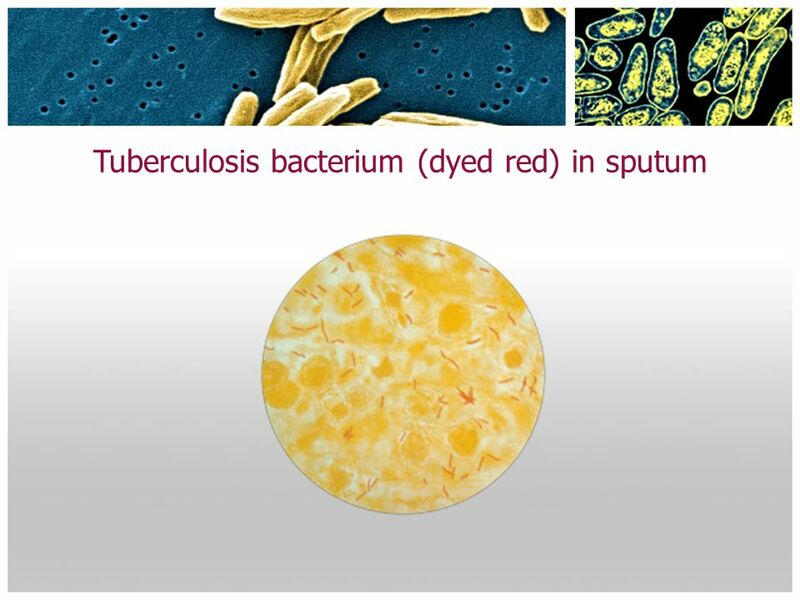 2 Tuberculosis Tuberculosis ranks as the third leading cause of disease and disability among adults in the world, and nearly one-third of the world's population is infected with the tuberculosis bacillus. Of these cases, more than 9 million people become sick with TB when their immune system is weakened and 1.76 million die each year. 3 Symptoms coughing, tiredness, loss of appetite and weight loss. 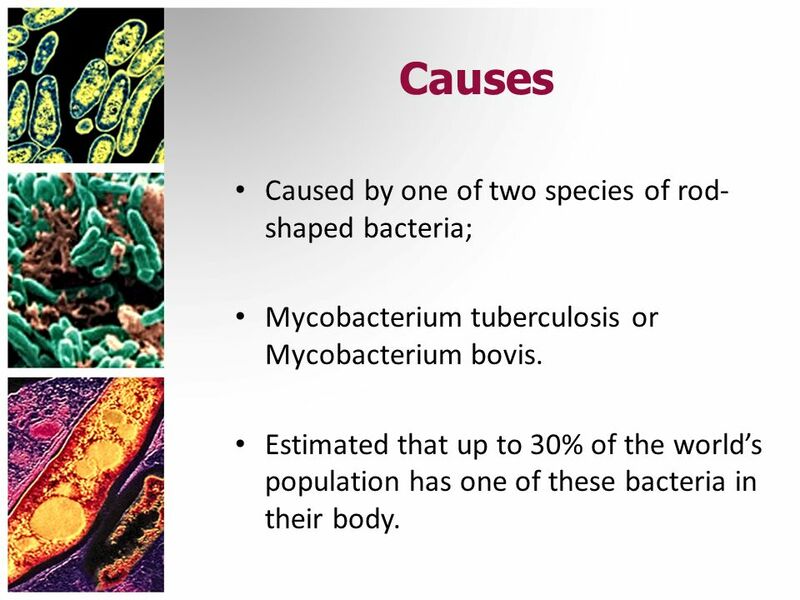 later fever and coughing up blood may occur..
Mycobacterium tuberculosis or Mycobacterium bovis. Estimated that up to 30% of the world’s population has one of these bacteria in their body. 6 Transmission Spread through droplets released by coughs, sneezes, laughing or even talking. 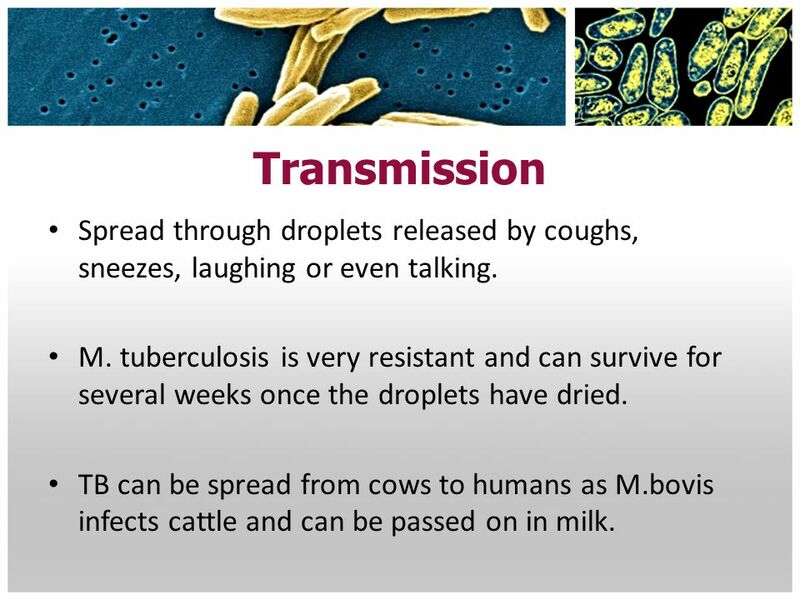 M. tuberculosis is very resistant and can survive for several weeks once the droplets have dried. TB can be spread from cows to humans as M.bovis infects cattle and can be passed on in milk. 8 Who is most “at risk” ? Those living or working together for longer periods, especially in over crowded and poorly ventilated rooms. Those working or living in long term care facilities like hospitals, prisons and old people’s homes. 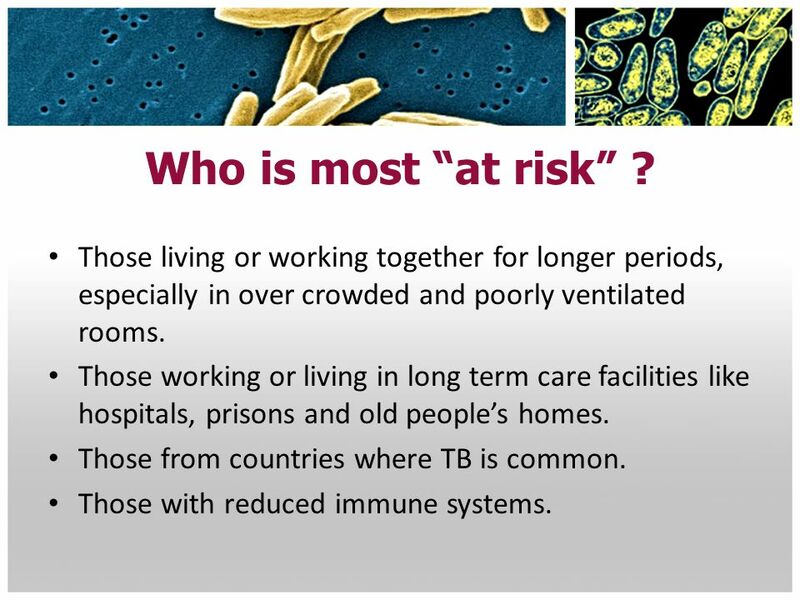 Those from countries where TB is common. Those with reduced immune systems. 9 Course of Infection First…..
1. 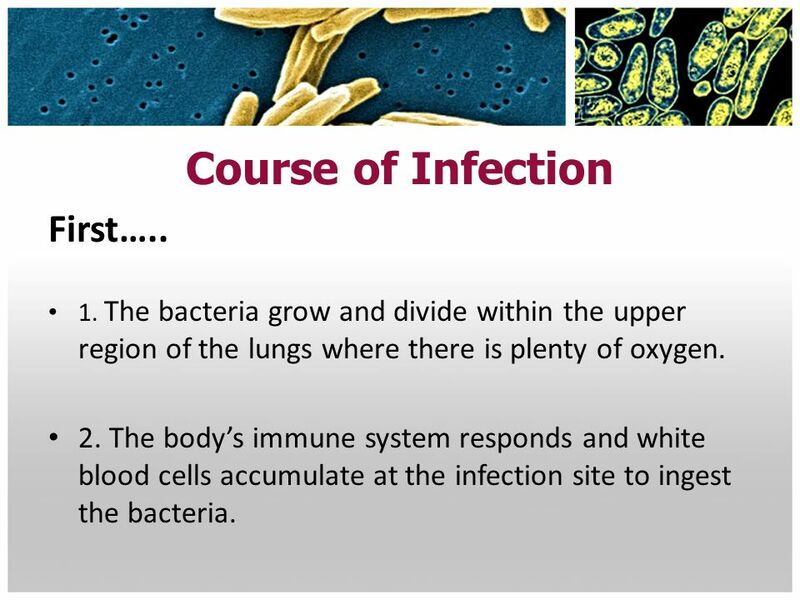 The bacteria grow and divide within the upper region of the lungs where there is plenty of oxygen. 2. 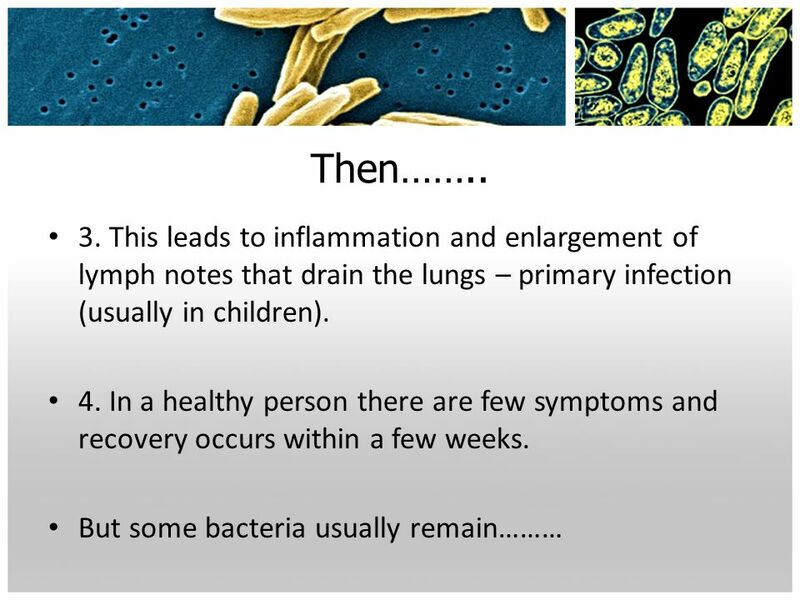 The body’s immune system responds and white blood cells accumulate at the infection site to ingest the bacteria. 11 Years later….. 5. 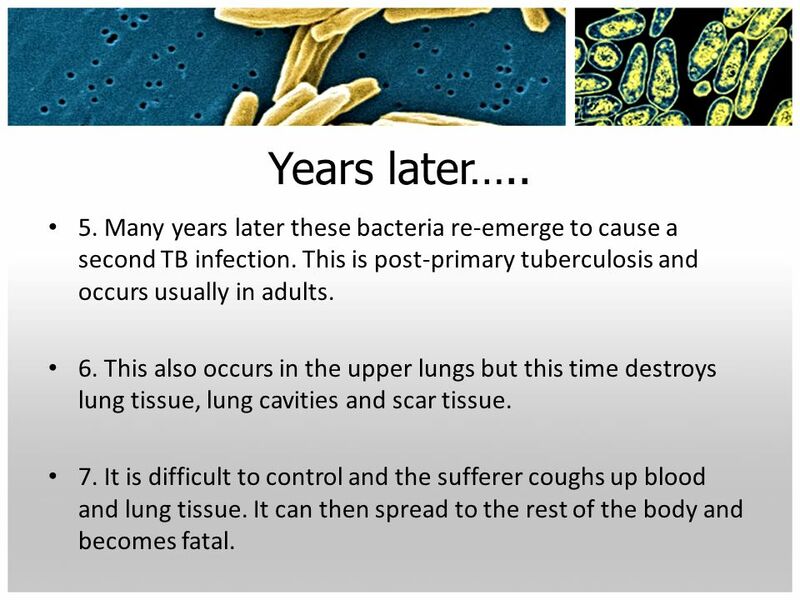 Many years later these bacteria re-emerge to cause a second TB infection. 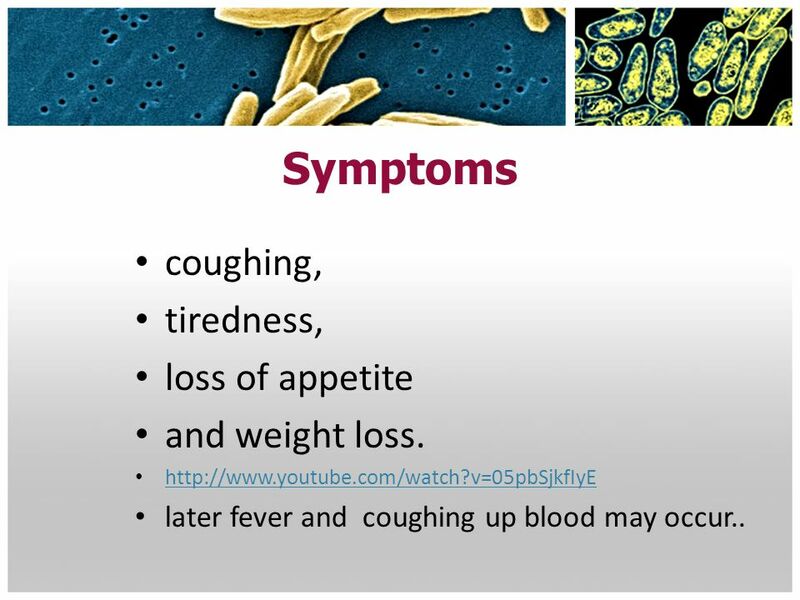 This is post-primary tuberculosis and occurs usually in adults. 6. This also occurs in the upper lungs but this time destroys lung tissue, lung cavities and scar tissue. 7. It is difficult to control and the sufferer coughs up blood and lung tissue. It can then spread to the rest of the body and becomes fatal. 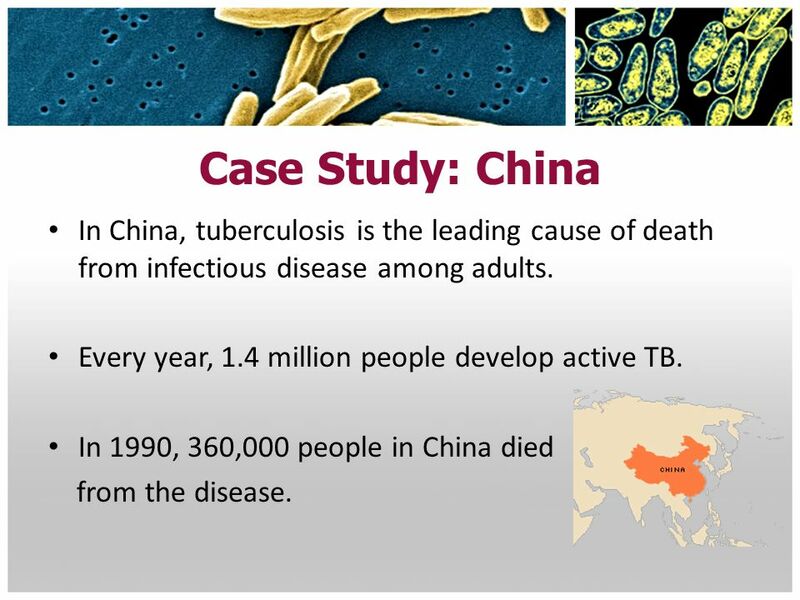 13 Case Study: China In China, tuberculosis is the leading cause of death from infectious disease among adults. 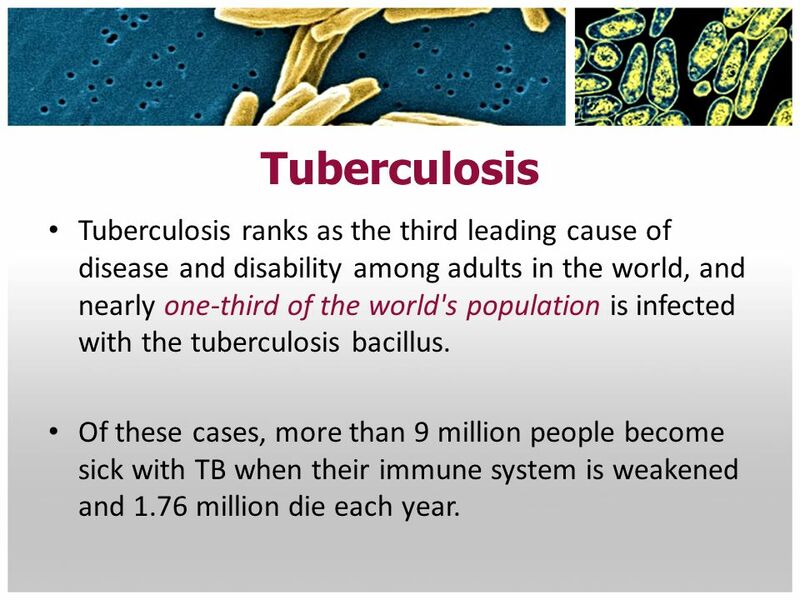 Every year, 1.4 million people develop active TB. In 1990, 360,000 people in China died from the disease. 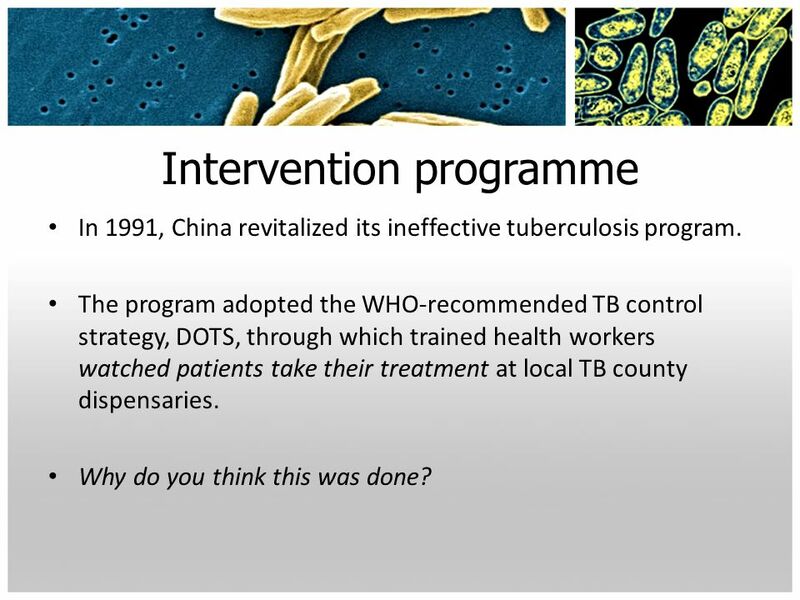 In 1991, China revitalized its ineffective tuberculosis program. The program adopted the WHO-recommended TB control strategy, DOTS, through which trained health workers watched patients take their treatment at local TB county dispensaries. Why do you think this was done? 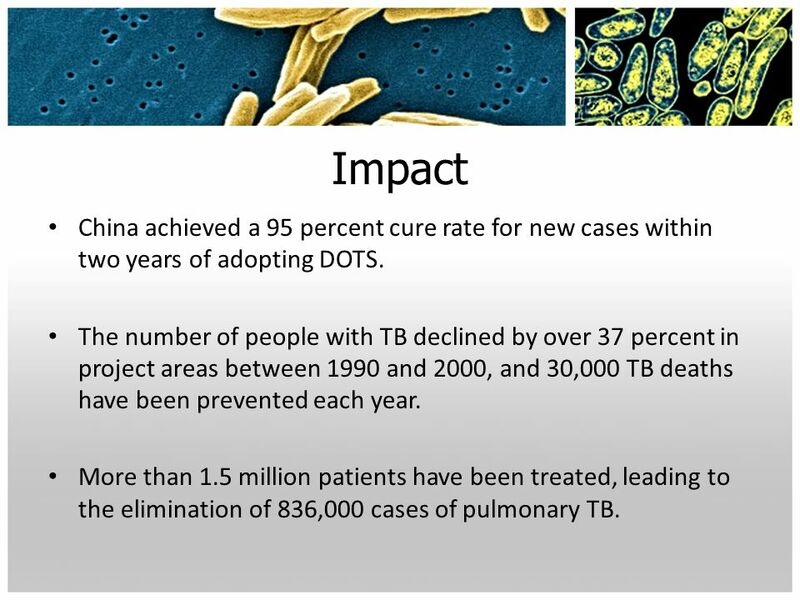 15 Impact China achieved a 95 percent cure rate for new cases within two years of adopting DOTS. 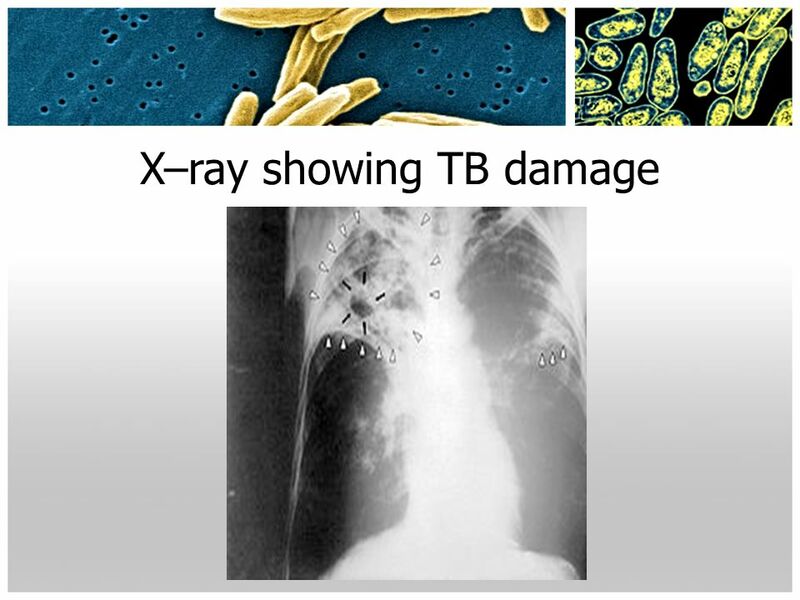 The number of people with TB declined by over 37 percent in project areas between 1990 and 2000, and 30,000 TB deaths have been prevented each year. 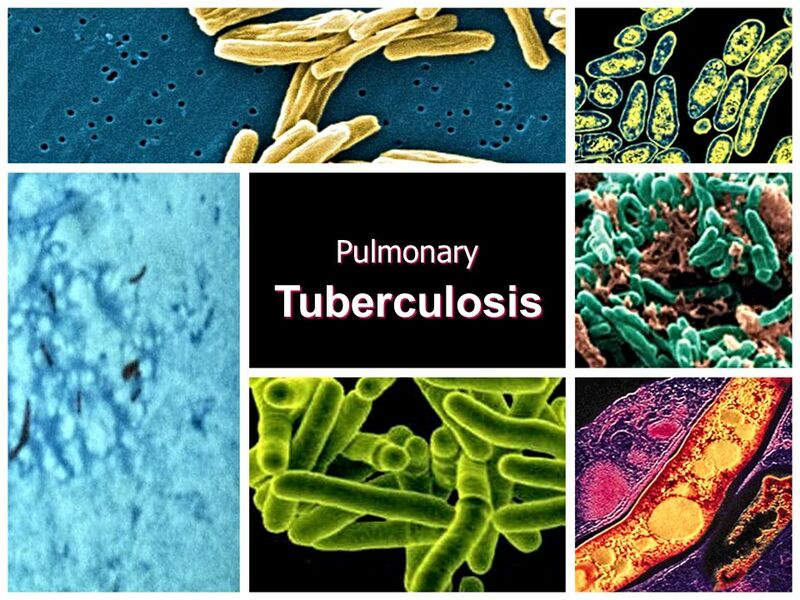 More than 1.5 million patients have been treated, leading to the elimination of 836,000 cases of pulmonary TB. The program cost $130 million in total. The World Bank and the WHO estimated that successful treatment was achieved at less than $100 per person. One healthy life was saved for an estimated $15 to $20. 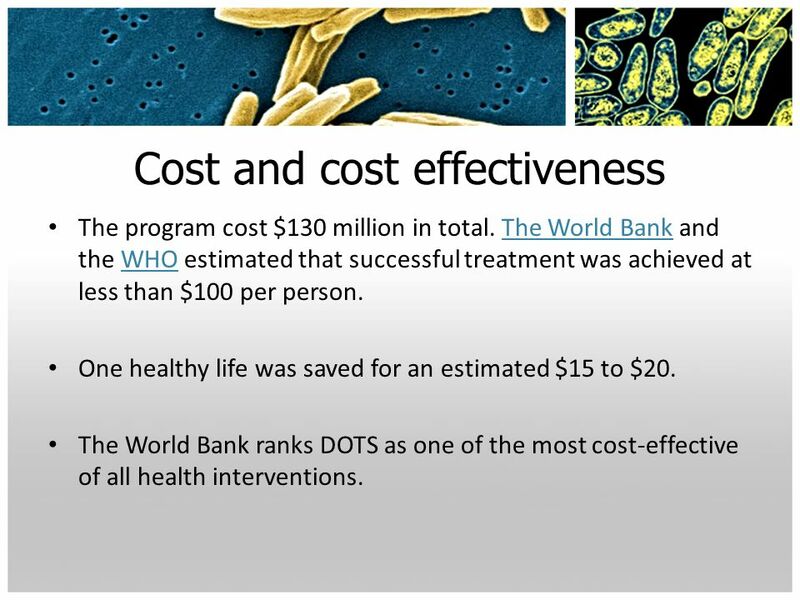 The World Bank ranks DOTS as one of the most cost-effective of all health interventions. Chapter 23 Tuberculosis. 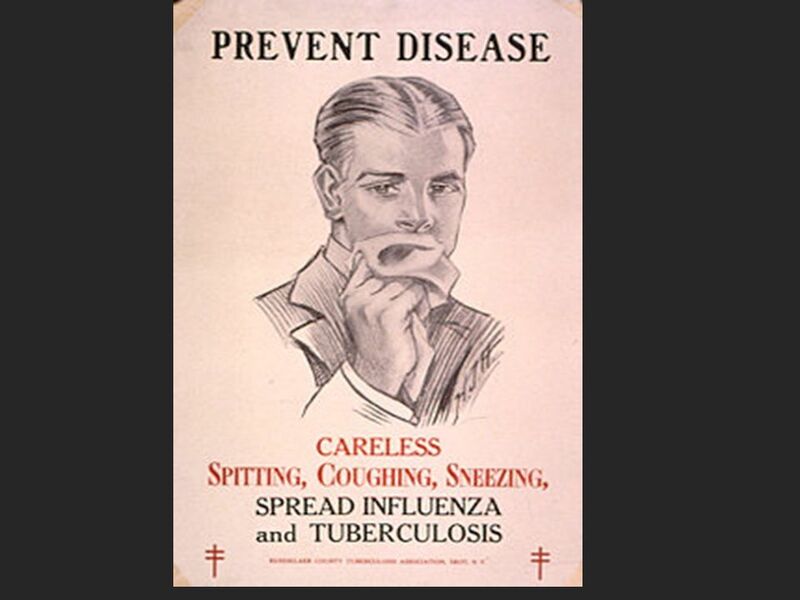 Tuberculosis: An infectious disease in humans that is caused by tubercle bacillus. It results tubercles forming on the lungs. Tuberculosis quick facts Illustrated through drawings from children across the Region Philippines. L 1. h Tuberculosis is an air-bone disease that can spread when someone coughs, sneezes, or when somebody literally talks. It usually affects the lungs. OCR AS Biology – F212 – Module 2 Food & Health. Learning ObjectivesSuccess Criteria  Understand the causes and means of transmission of malaria, HIV/AIDS. Harvard University Initiative for Global Health Global Health Challenges Social Analysis 76: Lecture 8.